“His job was to deliver oxygen. He did not have enough on his way back,” the Chiang Rai deputy governor said. 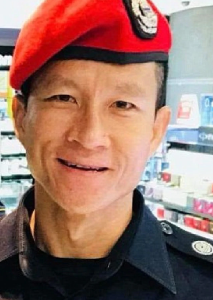 PO Saman was brought out by his dive partner but could not be revived. 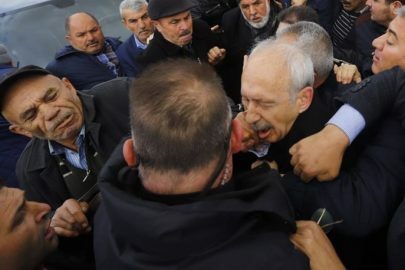 The oxygen level in the chamber where the boys have taken refuge has fallen to 15%, officials said at a news conference. The usual level is about 21%. The boys and their coach ventured into the cave while it was dry, but were trapped by a sudden deluge of rainfall. 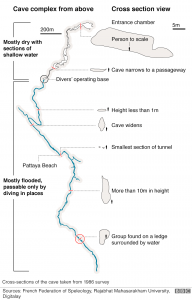 Ten days later British rescue divers found them perched on a rock shelf about 4km (2.5 miles) from the cave mouth. PO Saman, who was reportedly 38, had left the navy but returned to aid in the rescue operation. Officials said his funeral would be sponsored by the Thai king. 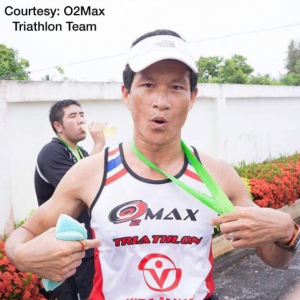 Said to be an avid runner and cyclist, he was part of the massive rescue operation launched after the group became stranded in the Tham Luang cave. 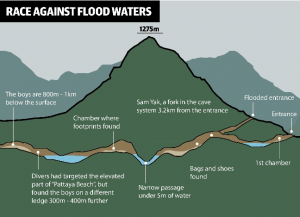 “Inside the cave is tough,” said Thai Seal commander Rear Adm Arpakorn Yookongkaew. Around 1,000 people are involved in the rescue operation, including navy divers, military personnel and civilian volunteers. PO Gunan’s death underscored the dangers involved in the search efforts. 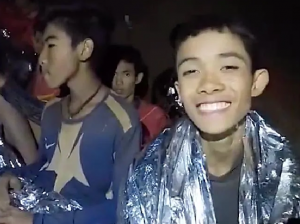 When asked how the group could make it out safely if an experienced diver could not, Rear Adm Arpakorn said they would take more precautions with the children, who are aged between 11 and 16, and their 25-year-old coach. Do the boys have enough oxygen? 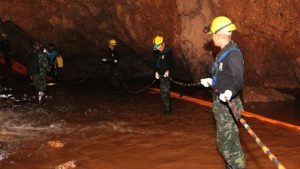 Oxygen levels were being depleted by the large number of people working inside the cave network, said Chiang Rai Governor Narongsak Osotthanakorn. 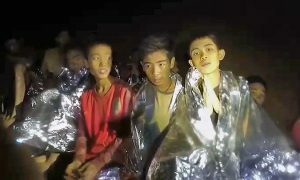 Authorities are now working to get a 5km (3 mile) cable into the cave to supply the group with air. They say the death of PO Saman won’t impact on their mission. But there is a different atmosphere today in the makeshift village that’s evolved at the cave’s entrance, and the death of a former navy Seal highlights just how dangerous the route out of the cave remains. 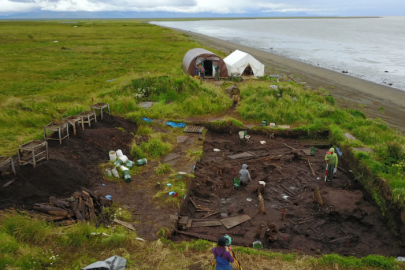 Today, the priority is to connect a fibre optic cable that will allow the boys to speak to their families for the first time in nearly two weeks. 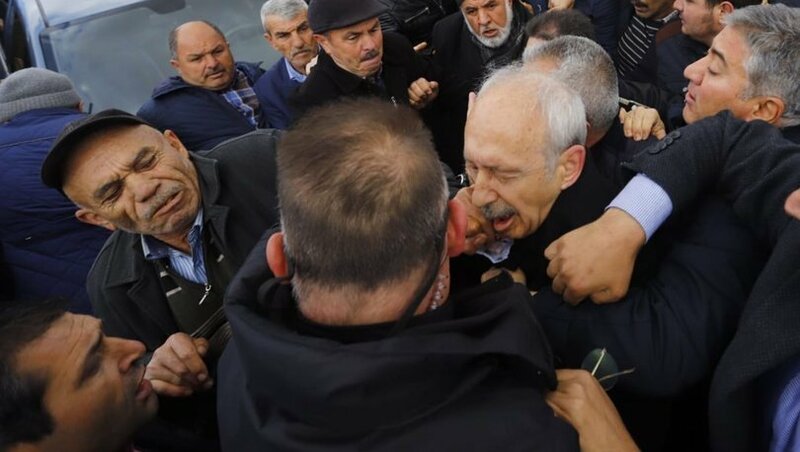 What are the rescue options now? 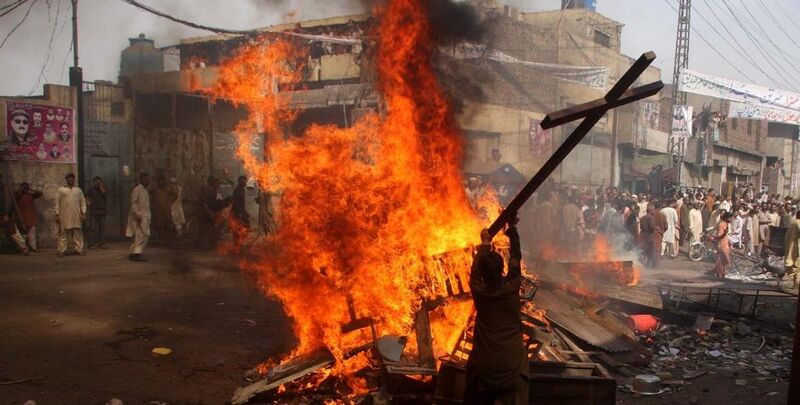 Authorities are trying to work out how best to bring the group to safety, with officials stressing they do not intend to take any risks with the boys’ safety. 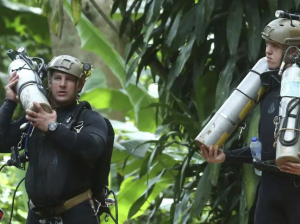 The military has been pumping water out of the cave but if they cannot hold the water level down, they will be left with two stark options – teaching the boys to use diving equipment, or waiting months until the rainy season ends. Leaving the boys to wait brings with it another danger: that the sinkholes and streams in the hills could flood the chamber completely. 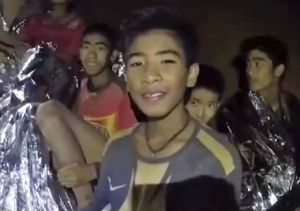 “At first, we thought the children could stay for a long time… but now things have changed, we have a limited time,” Rear Adm Arpakorn warned.